According to Genesis, the first book of the Bible, snakes are capable of speech — or at least one snake was, at one time in the past. We should expect to encounter talking animals in fairy tales, myths, and other fictional stories. So what about the Bible? Isn't the presence of a talking animal a sign that the Bible — or at least this part of the Bible — is fiction? 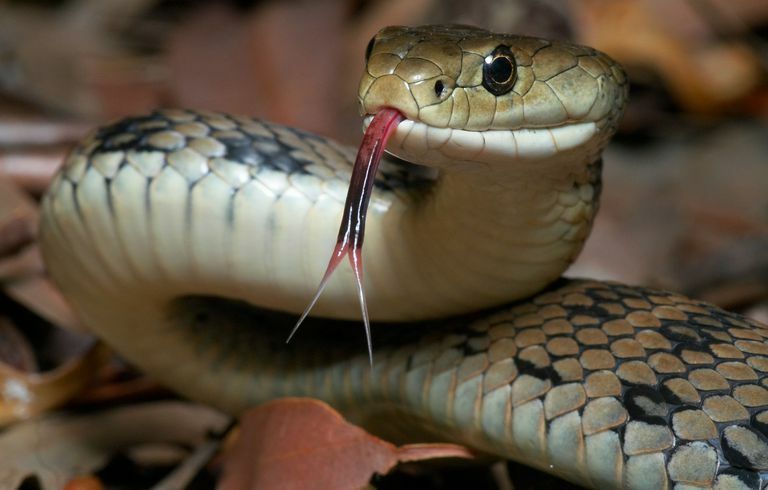 It would be absurd to expect us to believe that a snake really could talk. Genesis 3:1: Now the serpent was more subtle than any beast of the field which the Lord God had made. And he said unto the woman, "Yea, hath God said, Ye shall not eat of every tree of the garden?" Genesis 3:4-5: And the serpent said unto the woman, "Ye shall not surely die: For God doth know that in the day ye eat thereof, then your eyes shall be opened, and ye shall be as gods, knowing good and evil." Whether a talking snake or any other talking animal is absurd or not is entirely dependent upon context. We don't think it's absurd to encounter talking animals in Aesop's fables, for example, because we know that we're reading fictional stories that aren't meant to be read literally. We can find similar talking animals in all sorts of stories, both ancient and modern. They can, in fact, be very popular characters and no one complains about them normally. So what about the Bible — should we read biblical stories literally or not? For Christians who treat such stories as metaphorical like Aesop's fables, the presence of a talking snake is no problem at all. For Christians who treat the whole Bible as historically accurate and true at every point, though, this is a different matter entirely. Why shouldn't such Christians be regarded as believing something completely ridiculous? Why isn't just as absurd to believe that a snake could talk as it would be to believe that Mickey Mouse is a mouse that can talk? Some of these Christians who believe that a snake did talk might sincerely believe that their god has more than enough power to make a snake talk, even ignoring all the anatomical issues. Superficially, at least, that's not an unreasonable argument, but when you look more closely, you'll notice that it raises more problems than it solves. Did all animals talk or just snakes? If all animals talked why don't we hear about it; if only snakes talked then why? Did all of the snakes in the world at this time talk or was this the only one? If others spoke, why don't we hear about that? If this was the only snake that talked, why? Was this snake given the power of speech to make the Genesis story possible? If so, then God is even more directly responsible for what happened. Indeed, it could be argued that God caused Eve to be tempted, not the snake, which means that God is entirely responsible for what happened. It's all too common for Christians to argue "God did it" as an answer to some problem, but this is one case where that answer would make matters far worse. But what do you think? Do you agree that this biblical story about a talking snake is absurd (at least when regarded as literal and true history) or is there some way of explaining or interpreting the story to make it seem reasonable or sensible? Is there any reason to think that a story with a talking snake is anything other than a fable or fairy tale? If so, your solution cannot add anything new that's not already in the biblical text and cannot leave out any details that the Bible provides. Why Punish the Snake for Telling Truth to Adam and Eve?